I’ll get straight to the point. This should be a no-brainer. 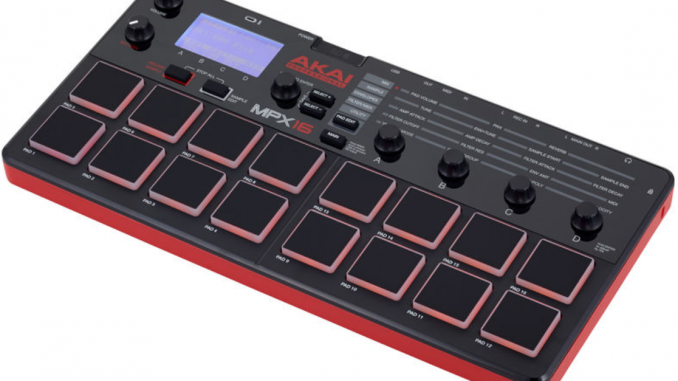 The Akai MPX16, the 16 pad bigger brother of the 8 pad Akai MPX8, should be better…but it’s not. I own both and, incredibly, wav samples played on the MPX16 sound much poorer in quality than when you play those same samples on the MPX8. At first this didn’t make sense to me at all because both machines are produced by Akai and, on the face of it, they are identical in every way except for the number of pads on each. So after a lot of frustration and a couple of days of (wasted) time, I eventually discovered the problem. It turns out that the MPX16 doesn’t play the wav sample at the correct start point…so the attack part of each sample is missing! This was especially noticeable when using the Akai MPX16 with drum samples. I managed to get a workaround for the problem by adding a few milliseconds of silence before the wav sample. But while this solved the ‘attack’ part of the sample problem, now it introduced latency when I hit the pad. Not good! I should really have returned the Akai MPX16 to my local music shop for a refund but, well, I’ve decided to keep it because it’ll probably come in useful for triggering other types of longer wav files where an immediate response from the pad is of less importance (like triggering orchestra samples such as strings and woodwinds or vocal oohs and ahhs etc). As for drum samples (which I suspect the Akai MPX16 will be used for by most musicians who buy it), the MPX16 fails miserably. If you really need 16 pads, buy two MPX8’s instead. Or even better, bite the bullet and splash out the cash on a Korg Volca Sample, a Korg Electribe, or a Roland SP404A.